Pets are an important part of more than half of US households, and pet owners want their furry family members to have a happy and healthy life free from exposure to hazardous chemicals. There is a growing, multi-billion dollar market for pet care products, but it can be challenging for pet owners to get a full understanding of the chemicals of concern in the products they buy, since it is uncommon for products to come with a full ingredient listing. As a result, these pet care products can be a source of pet exposure to hazardous chemicals. Ingredients of concern may include harsh surfactants that may cause irritation or have carcinogenic effects, or thickening and pearlizing agents with poor environmental toxicity profiles. In some cases, ingredients may be even more of a concern for pets than they are for humans. Many essential oils and plant extracts fall into this category, since they can act as sensitizers when pets are exposed, resulting in allergic reactions. Pets may also be more exposed to hazardous chemicals from household products because they tend to be smaller and closer to the ground and groom themselves using their mouths. They also have faster metabolisms and smaller lungs than humans, so they breathe in more chemicals from the environment and process them faster. Smaller pets, like rodents and fish, can be especially vulnerable to cleaning products, including products used to clean cages and aquariums. Like humans, pets are susceptible not only to acute poisoning by toxic chemicals, but also to diseases like cancer that can be caused by exposure to hazardous chemicals. Fortunately, companies in the pet care sector are responding to consumer demand for safer products. Pet owners looking for safer chemicals in the products they use to care for their pets, such as pet shampoo, can now find pet care products bearing the U.S. EPA Safer Choice label on store shelves. Safer Choice is a trusted assurance that certifies products that are safer for people, pets, and the environment, and until now, has been used primarily to label household and institutional and industrial cleaning products. Pet owners can find Safer Choice-labeled products intended to be used directly on pets, such as pet shampoo, as well as cleaning products used in the home, in order to ensure a safe and healthy environment for their pets and the rest of their family. Like all Safer Choice-labeled products, all ingredients in pet care products with the Safer Choice label have been screened by third party profilers and EPA, assuring they are safer for both the environment and human and animal health. 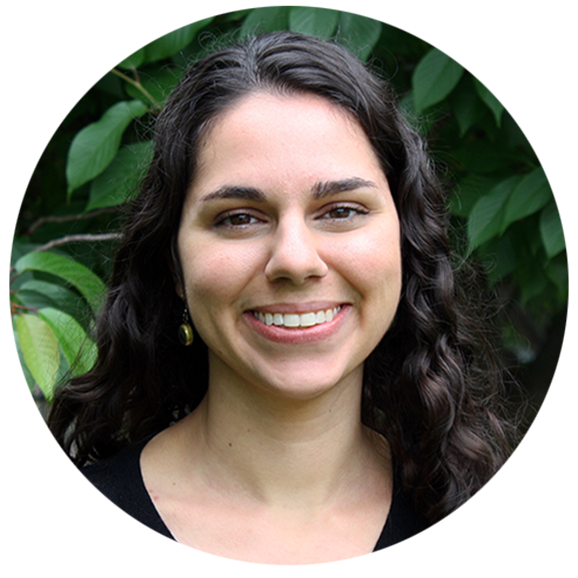 Before making the Safer Choice label available for this new category of products, EPA evaluated conventional chemistries in the pet care sector. They looked at ingredients of pet care products that have been disclosed publicly, and reviewed existing data on the hazards associated with these chemicals. In order to ensure that their standards for pet care products were protective for pets, the Safer Choice team also spoke with stakeholders, including veterinary toxicologists, and conducted research to determine if any of the chemicals used in pet care products are particularly toxic to dogs and cats. 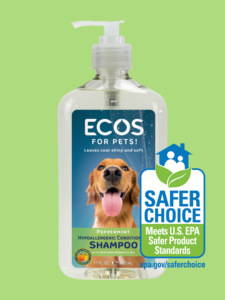 The first products in the pet care category to be labeled with the Safer Choice label are two pet shampoos from ECOS for Pets! by Earth Friendly Products – one fragrance free and one peppermint-scented, currently being sold in pet supply stores and at www.ecos.com. Earth Friendly Products has produced pet care products since it was founded in 1967, but is now better known for its household cleaning products. The company formulates its pet care line to the same safety and sustainability standards as its home care line, because it takes the view that pets deserve the same high standards as the rest of the family when it comes to the chemicals we use on and around them. The ECOS for Pets! products were not tested on animals, which presented a bit of a challenge for the performance testing required by the Safer Choice program. Instead of testing the performance of these shampoos on live animals, alternative performance tests were developed. With some outside-the-box thinking and the use of many faux fur swatches, Earth Friendly Products was able to complete the performance testing required for the Safer Choice label and ensure the efficacy of its products. Other than this hiccup, the process of obtaining the Safer Choice label on these products was smooth, in large part because the products were already formulated to the Safer Choice program standards. Because pets roll in mud, track in dirt, shed fur, spill their food and water, and have the occasional accident, pet owners need safe and effective pet care and cleaning products. Because EPA reviews all Safer Choice products to ensure that they are safer for pets, as well as humans and the environment, it is easier for consumers to feel confident that they are making a good decision regarding the products they purchase. Safer Choice-labeled products, including all-purpose cleaners, carpet cleaners, deicers, floor care products, pet stain and odor removers, toilet bowl cleaners, and upholstery cleaners are great options for pet owners to clean up after their pets while also keeping them safe and healthy.